Dear job seekers, if you are waiting to hear the latest news regarding Upcoming Railway Recruitment 2019, then you have landed up on the right page. 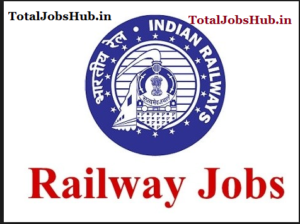 In this article, we will guide you through some important and significant updates regarding Latest Indian Railway Recruitment 2019 RRB RRC. Read the following information carefully and check out the zone wise vacancies. The Indian RRB Recruitment Board is the biggest organization that offers employment to the country’s people. Every year this organization releases recruitment advertisement notices providing the Government Jobs opportunity to all the deserving aspirants. Those, who wish to join World’s biggest Rail Network, apply through RRB Official websites. The Recruitment Board has itself divided into different zones. Every zone has a different web portal where applicants are invited to submit their applications as per their preference to work. The RRB gives the opportunity to every job seeker. There is a Group-wise distribution of jobs in accordance with the highest educational qualification. These Groups are classified as Group A, Group B, Group C, Group D. Aspirants with 10th, 12th, Degree, Diploma, ITI, and Post-Graduation can opt for these posts. For all the below mentioned posts, applicants need to have an Online Registration form filled available at the RRBs main web portal. Which posts you can apply for: Loco/ Diesel Engine Pilot, LDC, Clerk, Steno, Ticket Collector, Signal Maintainer, ASM, Station Master, and Others, Special Class Apprentice, and Trainee. RPF Vacancies: There are various vacancies that get available to applicants every year based on the zonal requirement. The posts are mainly: Constable, Sub Inspector etc. In the following segment of this article, we are going to help you know about different kind of job opportunities that Indian Railways are going to provide. Candidates can check the Latest RRC, RRB Notification 2019 and start applying for their selected job Profile. Get the details given below and start filling your Applications following the Upcoming Railway Recruitment 2019. For Technical departments, aspirants must have a diploma/ Degree in any of these Engineering disciplines (Mechanical, Electronics and Communications, Civil). The University/Institute must be AICTE approved. For Trainee/loco Pilot jobs, candidates must be having a certificate in ITI from a government approved institute. For Group D posts, applicants need to have successfully completed High School or Intermediate exams from a state-recognized education Board. Minimum age to apply for any of the above-mentioned posts is 18 years while the maximum age limit may vary as per the recruitment notice. Age Relaxation will be given to candidates from reserved categories as specified by the Central Government. Examination and Registration fee is different for different posts applied. SC/ST candidates are exempted from paying, while General and OBC applicants need to pay the requisite amount. Payment Mode: Online Banking, Credit Card/Debit Card, Bank Challan. Attention: Please read the Official Notification to know about fee details. Applicants are assessed through the following selection process. After selection, joinees will be paid handsome salary packages with allowances as per the recently implemented Pay Scale introduced by the central Government. Imp: Please refer to the official notice for detailed information regarding Salary. The application process will take place online only. Aspired job seekers need to visit the official web gateway as per the applicable zone. Candidates may choose the zone-wise web portal given in the list above. Before starting the application process, applicants are advised to read the necessary details very carefully. Start with filling the basic details and uploading the required soft copies of signature and a recent passport sized photo. Complete the form filling process and get it printed. To get the Upcoming Railway Recruitment Official Notification Visit here. Please be alert to the fake recruitment sites. All the related notification will be released on the official site only. To get the latest recruitment news and hourly updates, stay connected with totaljobshub.in team.